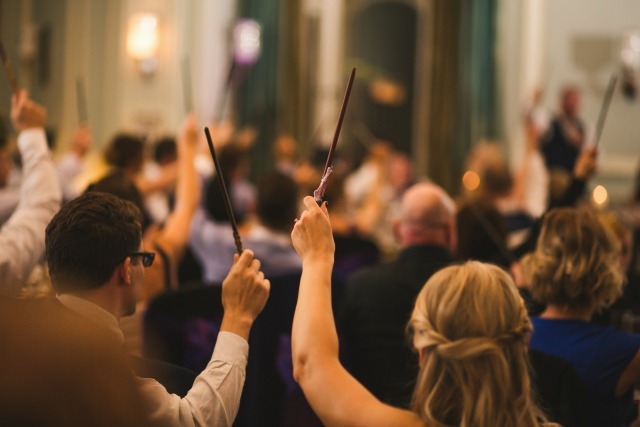 Only one wedding theme would do for Cassie and Lewis Byrom — the self-confessed Potterheads spent a year planning the ultimate Harry Potter wedding. It’s been a running theme throughout their romance. 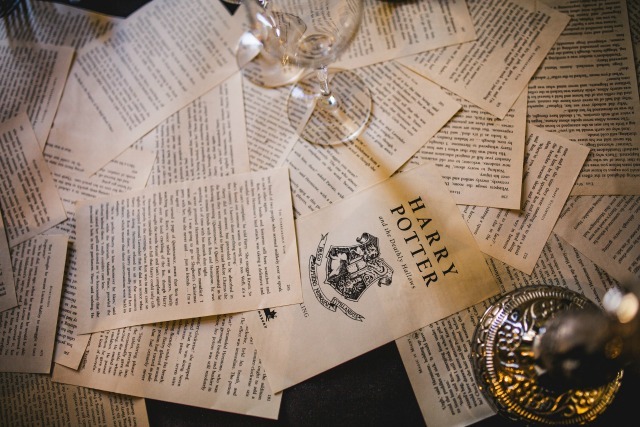 Lewis, 34, surprised Cassie, 31, with a letter accepting her into The Hogwarts School of Witchcraft and Wizardry for her 30th birthday, and inside the envelope were two tickets to the Harry Potter theme park in Orlando, Florida. While they were there last year, Lewis got down on one knee. 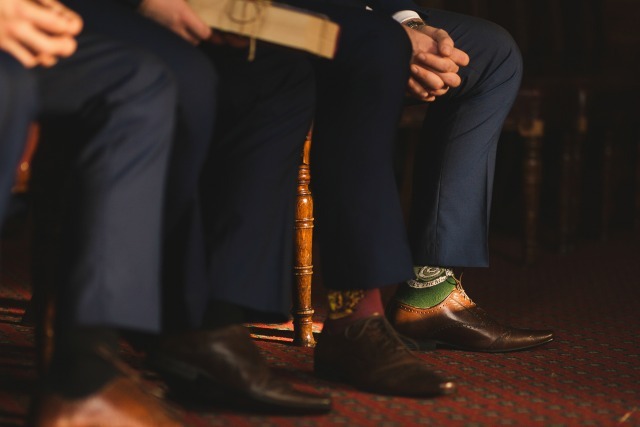 Photographs from the wedding have now gone viral due to the astonishing attention to detail and dozens of references to the couple’s favorite magician. 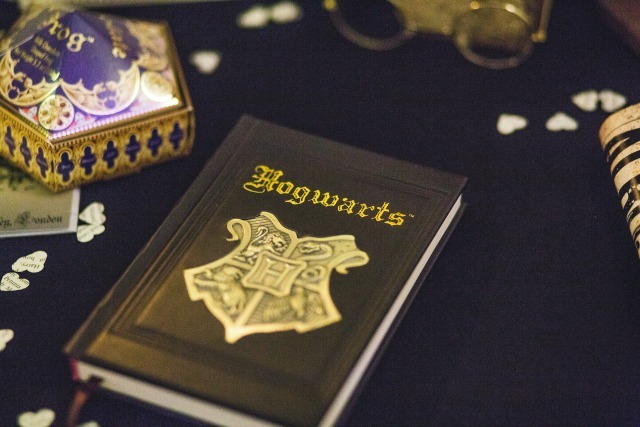 “It was only fitting for us to have a Harry Potter-themed wedding because we had so many happy memories involving it that meant a lot to us and what better way to make such a commitment in front of your family and friends,” said Cassie, who has always loved the Harry Potter books. 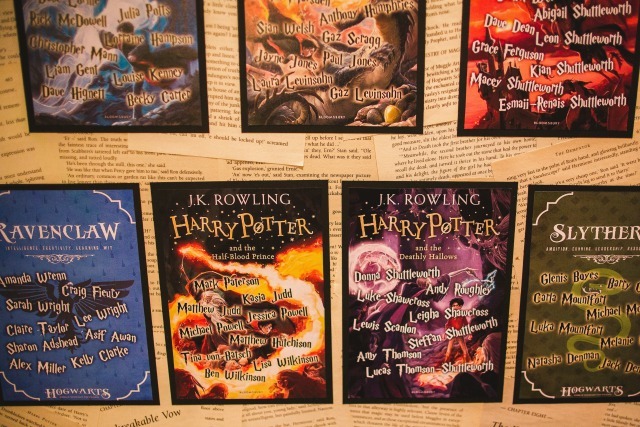 Where it all began… the Harry Potter stories the couple love so much. 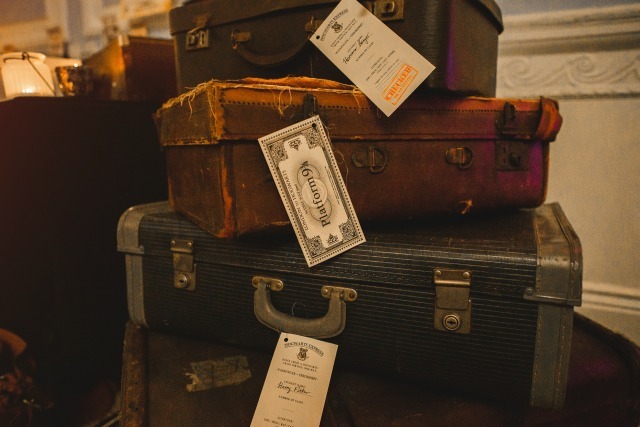 The wedding venue, the Midland Hotel in Manchester, England, was transformed into the couple’s very own Hogwarts. 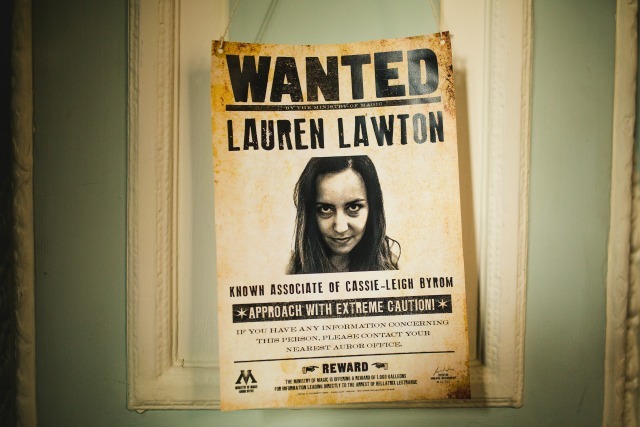 Wanted posters of the bride and groom hung around the halls of the hotel. 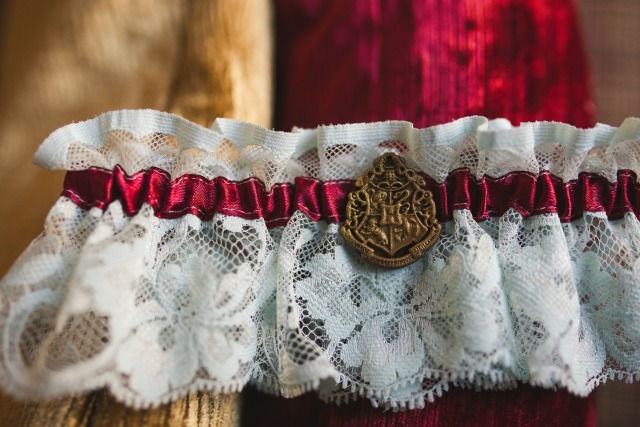 The Hogwarts coat of arms was stitched onto the bride’s red garter. 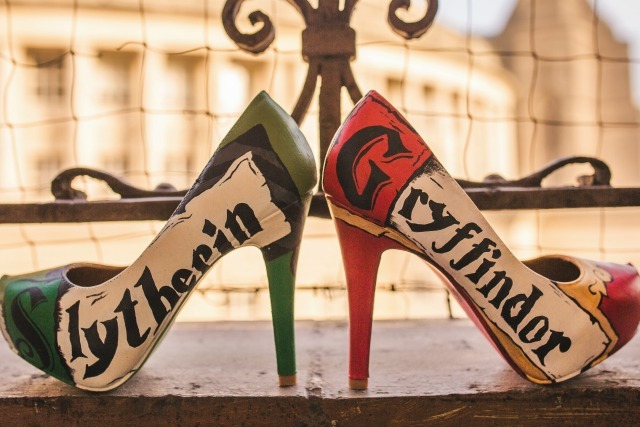 The bride’s amazing shoes were hand-painted by Lasting Memories Creations. 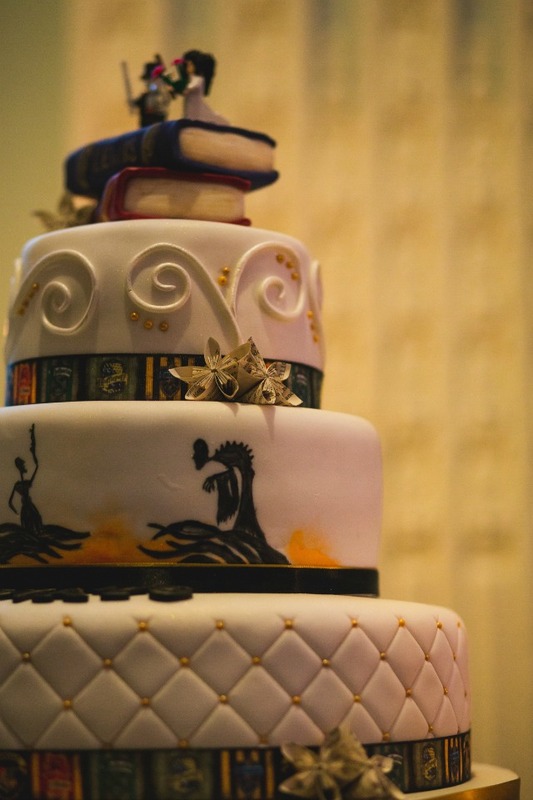 The bride’s manicure acknowledged her love for all things Potter. 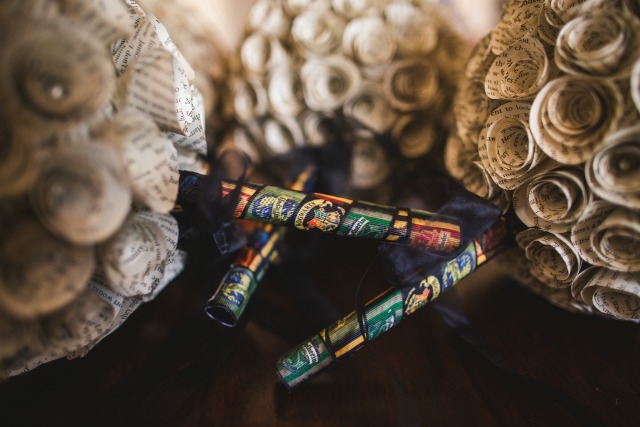 The bride and her bridesmaids carried paper bouquets, made from over 20 second-hand Harry Potter books. 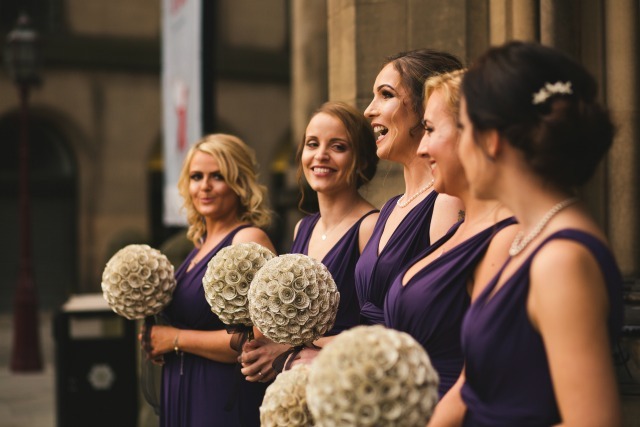 The bride has set up a business, Cassie’s Creations, selling her paper flowers. 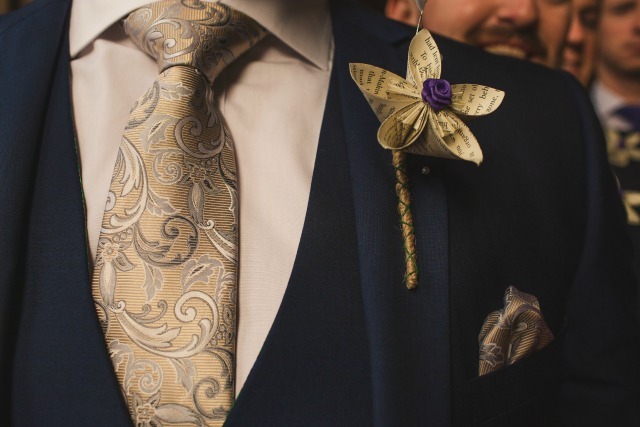 The groomsmen’s buttonholes were also made out of pages of Harry Potter books. 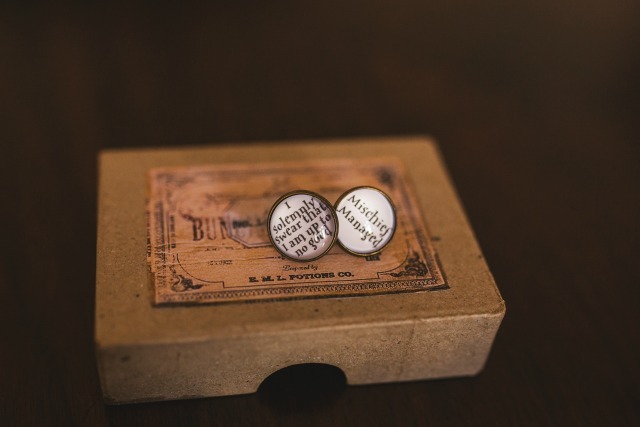 The groom’s cufflinks featured the motto from the Marauder’s Map. 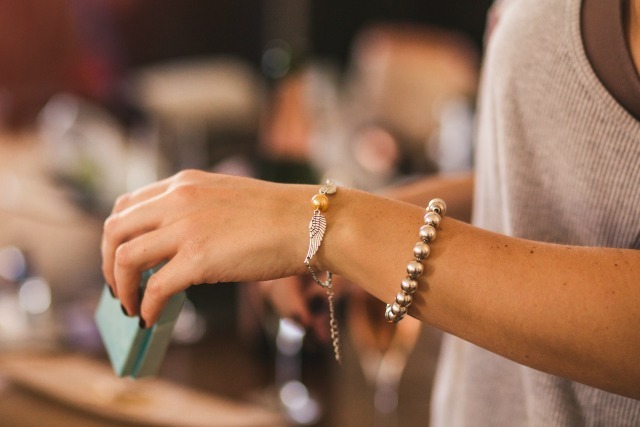 The bridal party all wore Golden Snitch bracelets. 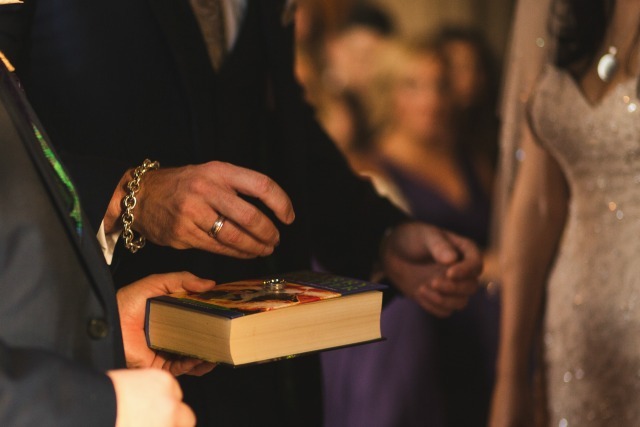 The wedding rings were presented by the best man on a copy of the Harry Potter and the Half Blood Prince. 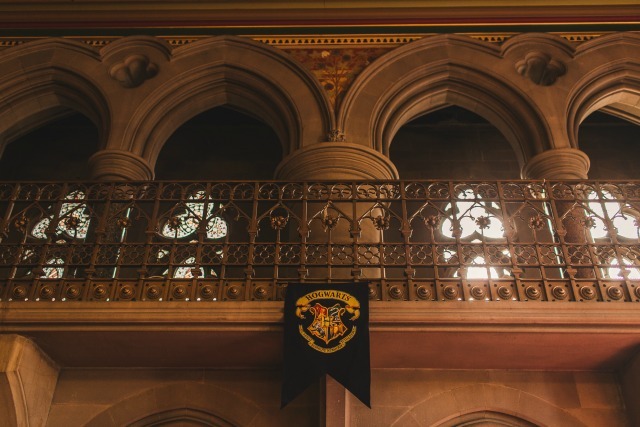 The tables were named after the Harry Potter books and the four school houses Gryffindor, Hufflepuff, Ravenclaw and Slytherin. 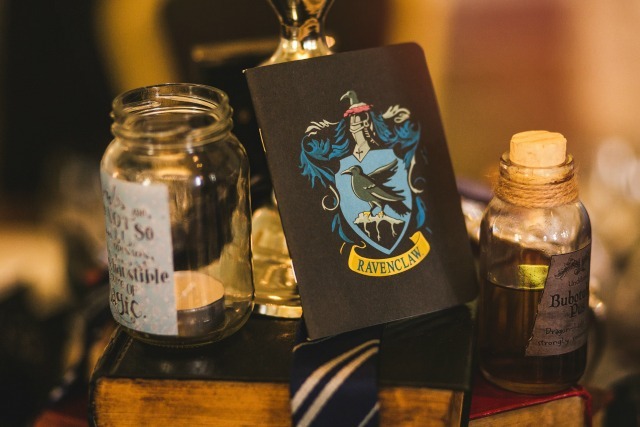 Were guests at the Ravenclaw table witty and wise? 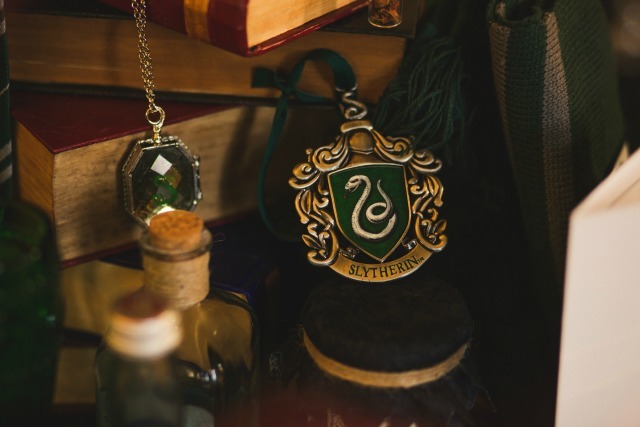 We expect only pure-blood guests sat at the Slytherin table. 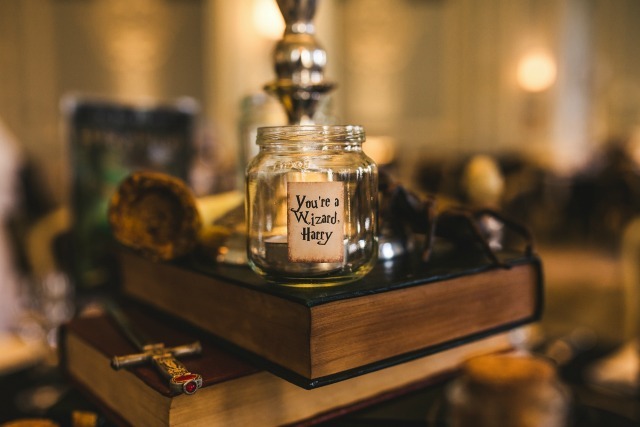 Inspired by the famous, “You’re a wizard, Harry” scene from Harry Potter And The Philosopher’s Stone. 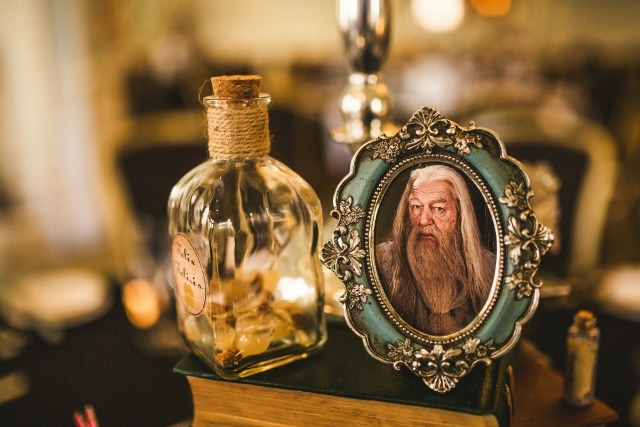 The groom’s favorite Harry Potter character is the ultimate wizard, Dumbledore. 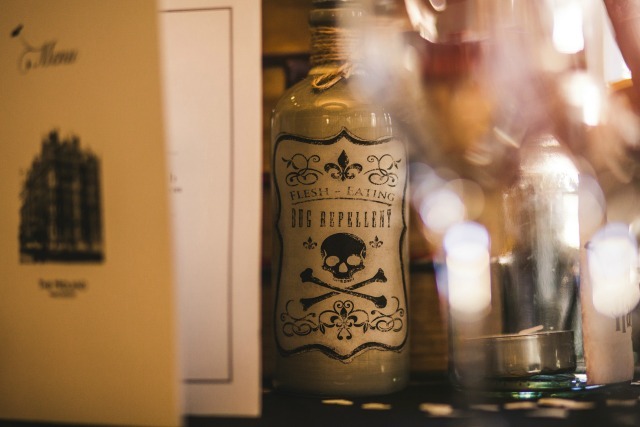 Various Harry Potter potions were on display around the wedding venue (although we’re guessing the guests stuck to Champagne). 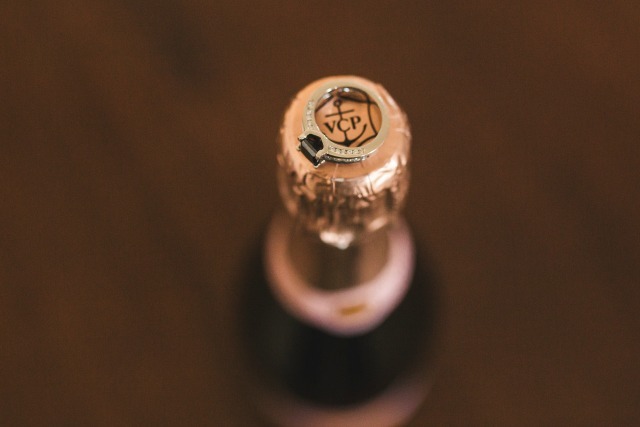 Hopefully there were no flesh-eating bugs at this celebration. 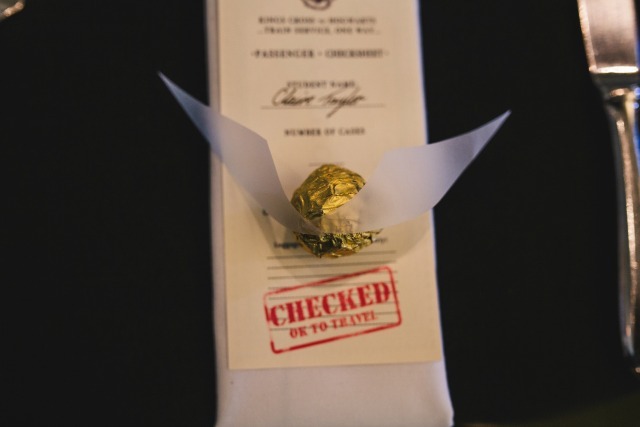 Each guest got an edible Golden Snitch (a.k.a. a Ferrero Rocher with golden wings). 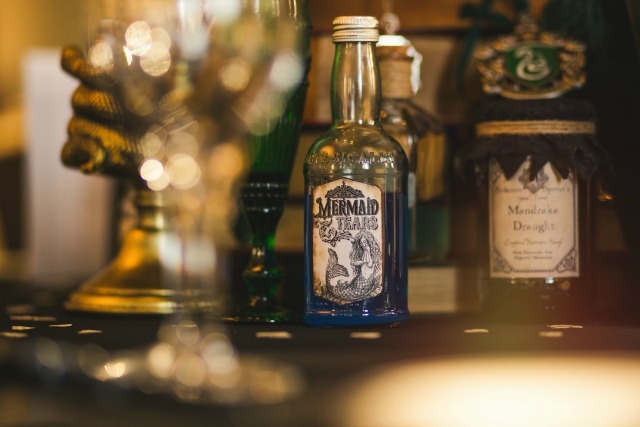 The couple spent months in the lead up to the wedding scouring secondhand shops for Harry Potter memorabilia. 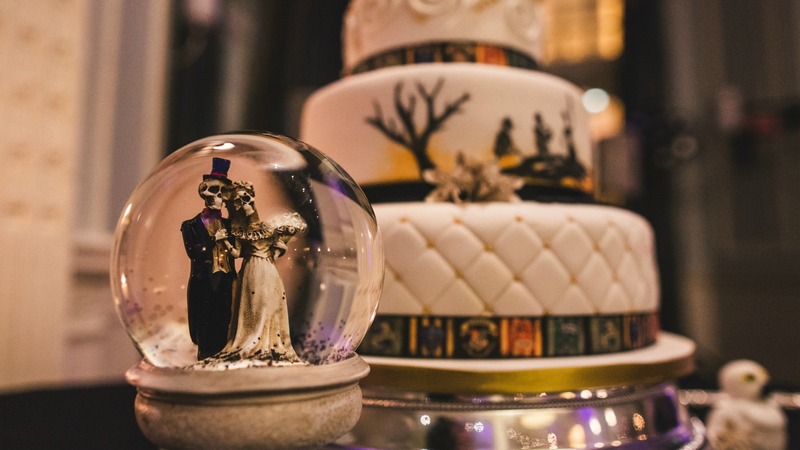 The quilted cake was topped with Lego figurines of Lord Voldemort and Bellatrix Lestrange, the bride’s favorite character. 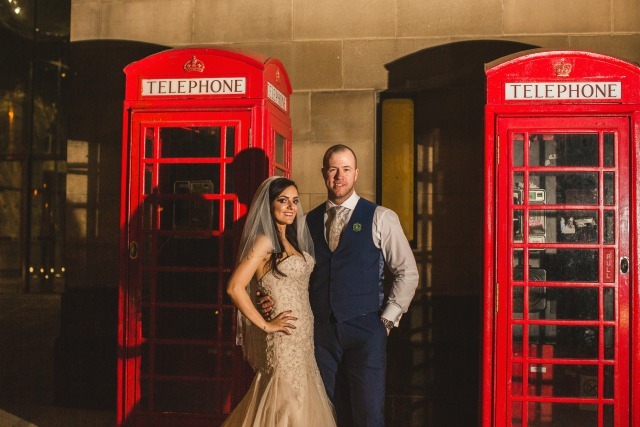 The Ministry of Magic was entered via a red telephone box in Harry Potter and the Order of the Phoenix. 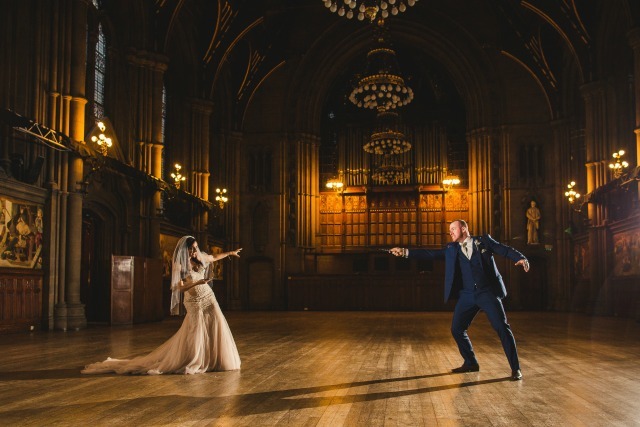 The couple acted out the last moments of the Battle of Hogwarts (minus any deaths), for their wedding photos.